Chy an Gweal chapel is on the main St Ives road through Carbis Bay. We have a small, mostly elderly congregation, as a lot of people have moved to the area to retire. We have morning service at 10:45 am, serving tea and coffee before the service. We have a time singing choruses before the service begins, to prepare us for worship. 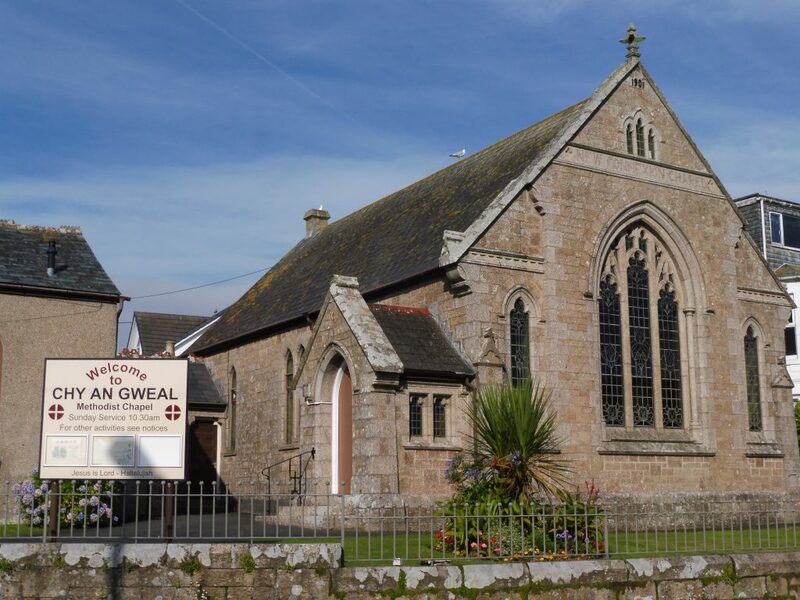 Chy an Gweal is the nearest church to Treloyhan Manor, a Christian Guild hotel and conference centre. Thursday afternoons, the food bank and café are open, with free Wi-fi, run here by the Church on the Vine. We are working towards closer links with Carbis Bay Wesley church, already joining together for special services, a bi-monthly fellowship meal, and Sunday evening worship during the summer.